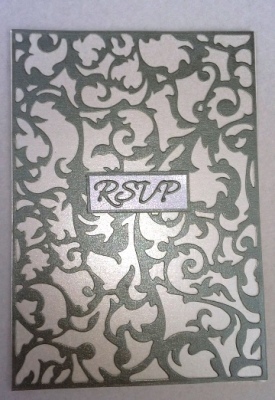 Silver and ivory white RSVP card. Pearlescent silver die cut design mounted onto pearlescent ivory white card. 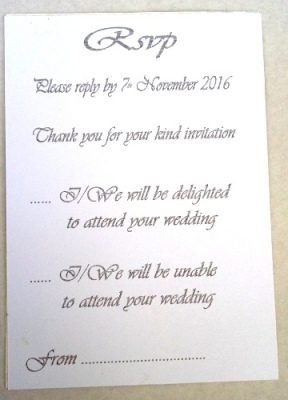 This rsvp is a single card with yournrsvp details printed on the back and will arrive with its own envelope. A sample is available printed with mock up rsvp details.